I'll be leaving for blackhat shortly and site updates will slow down a bit as well as moderation of the web security mailing list. 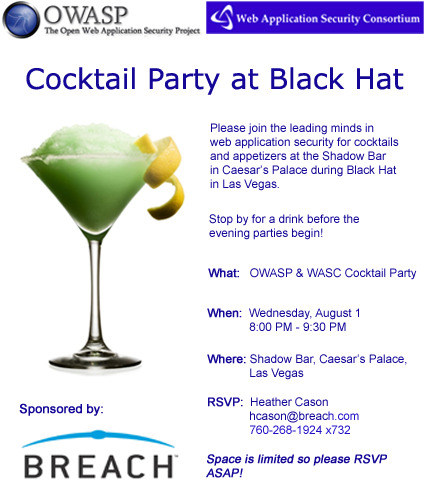 If you're in vegas and want to chat appsec, be sure to RSVP to the huge OWASP/WASC party, I'll be there with just about every other application security industry person. I'll also be speaking about a few recently approved WASC projects that got accepted that we're excited to have in the works.